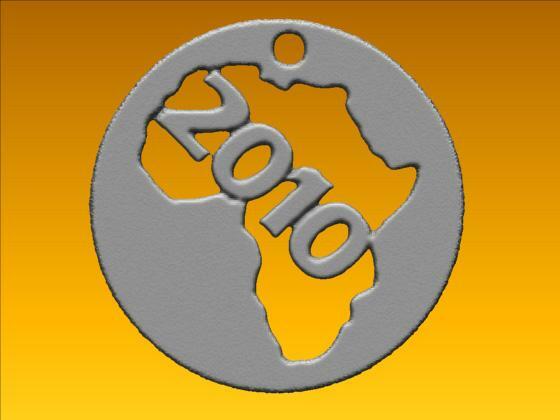 A unique pendant to celebrate the 2010 World Cup of Football in South Africa. 5cm in width. Available in many different materials from my store at Shapeways. For two months – as a test project – Shapeways is sending out a rubber necklace to attach to this pendant.